If you own a small business, apply to be on this Penn alum's TV show! Earlier this week, TV producer Roy Bank (C'94) launched his new NBC gameshow. Now there's another show of his that got picked up for a second season and he's looking for small business owners. The show is sort of "Apprentice" minus the celebrities and minus the competition. I've done a ton of stories on Penn alum and undergrad entrepreneurs, so I know there are some of you who are perfect for this. After the jump, learn more about the show and how to apply! 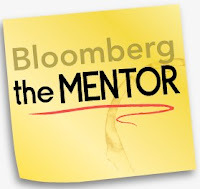 This 8 episode half-hour series will air on Bloomberg Television and the web and is currently looking for small business owners at http://www.inkmentorcasting.com through September 26, 2011. "Ink from Chase invites small businesses from across the nation to apply and submit photos. Small businesses must have a minimum of five full-time employees and be available for production purposes during the months of August through December. All types of small businesses are welcome to apply, including wholesale, retail and online. There will be no direct monetary compensation. For more information on the casting call and to apply, small business owners can visit http://www.inkmentorcasting.com or check out the Ink from Chase Facebook page." Do you and your business qualify? ...or know someone perfect for this? Be sure to share this article with them!